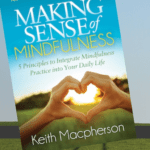 Keith Macpherson is a professional musician, a mindfulness teacher and an author. He believes that mindfulness can and will be made accessible to everybody on the planet, no matter what age or demographic. Keith feels that mindfulness is the entry way to finding balance, health, inner-peace and wisdom. 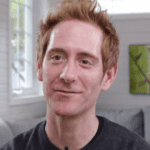 Keith's keynote talks and workshops along with his live yoga classes are consistently packed with students along with thousands of online downloads of his instructional videos and Live DVD Series. 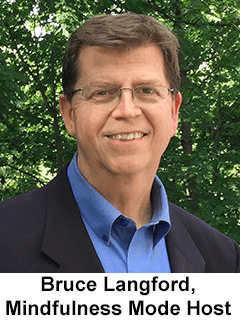 He has recently authored the book, Making Sense of Mindfulness and a full on-line course of the same name. Keith has spent over twenty years touring globally as a speaker and performer in countries including Canada, The United States, Mexico, Africa, Dubai and The United Kingdom. A really amazing teacher of mine once said, emotions are energy in motion. So I think of emotions flowing through and when they can't flow through, they get stuck. So crying is a very good example of this. We've been raised in a culture that says crying is a bad thing. Don't cry boys. Don't cry, don't cry. We apologize when we cry and yet this is the body's way of flowing through energy that's just trying to release and move through. And if we clamp down and we say, don't cry, where does that energy go? It gets stuck in the physical body, it gets dammed up and all of a sudden we start feeling inflammation and everything gets tight and constricted and this turns into dis ease. Literally, it's the unconscious bodies mind's way of trying to inform a conscious like, hey, there's something here that's not working. You're out of alignment. So emotions to me are energy in motion. It's helping us become aware of what's happening in the moment, what am I feeling? And if we're not listening, we really get out of alignment. Breathing to me is an anchoring practice. It's something fairly consistent. Our breath is our life force. So if we don't breathe, we die. I'm in North America. We're very chronic, shallow breathers. Most of us are holding a lot of tension and stress. The invention of technology, although it's very fun and connects us in some ways, it really causes a lot of stress and pressure. We're living in a time where we're bombarded by all of these requests from our phone telling us who we should be friends with and where we should eat and how many steps and you know, all this stuff and it's stressful. And so our breath as a result physically, it kind of vanishes. It gets really shallow. So the breath to me is a way to bring life back in. It's a way to create presence. It's a way to, in the moment expand charisma and to reset. There's so much to the breath. We need to spend an episode on that because it's really at the core of who we are. It connects our thinking mind and our physical body and just anchors us into this moment. When I was growing up I had an exceptional amount of arm hair. This was the closest I personally came to feeling bullied, but I used to be made fun of and I still do. People see my arm hair and they laugh. When I was in Africa, actually I think it was kind of funny, but the kids would pet me because they were [were reminded of] a dog or something because I had so much arm hair. I can laugh about it now, but at the time when I was growing up, this was a big deal for me. I'd always wear long sleeve shirts and I didn't want anybody to see my arms and it felt like if they did, they'd make fun of me. Even today one of my best friends, and I love him to death, but he said, dude, you've got to shave your arm hair. It's too much, and so we did and you know, it was one of those things growing up where I was just really feeling self conscious about how I looked physically and it was just to me like a real small glimpse of what it would be like to be bullied on a very big level. I have so much compassion for people that have experienced bullying. At the same time I have a lot of compassion for the bullies themselves because this is totally a form of fear and disconnect and unconsciously playing out. It just gives me a little insight and compassion when I think of being made fun of for my arm hair, what it must be like to be bullied on a deeper level too.